Lehman (“Lemon”) Hart’s destiny in the world of rum began close to 50 years before his birth on 31 October 1768 in Penzance, Cornwall, England. 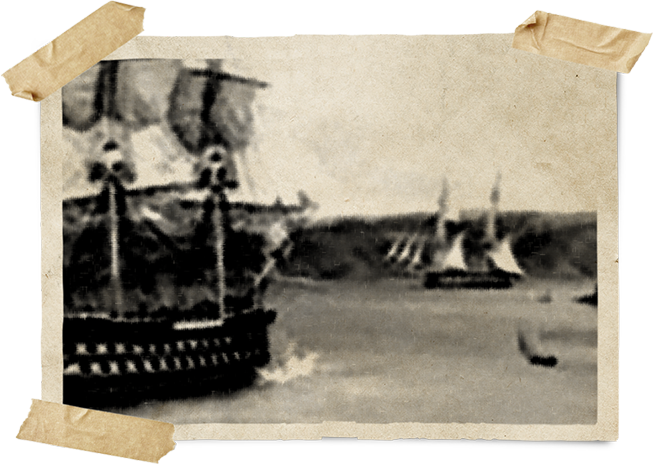 The year was 1720 when his grandfather, Abraham Hart, a young enterprising merchant who settled in Penzance from Germany, began importing and trading in rums sourced from various islands in the Caribbean. Some 80 years later Lemon Hart would transform the family business by creating a unique blend of the finest rums and subsequently receive the inaugural appointment from the Admiralty as supplier of rum to the British Royal Navy. 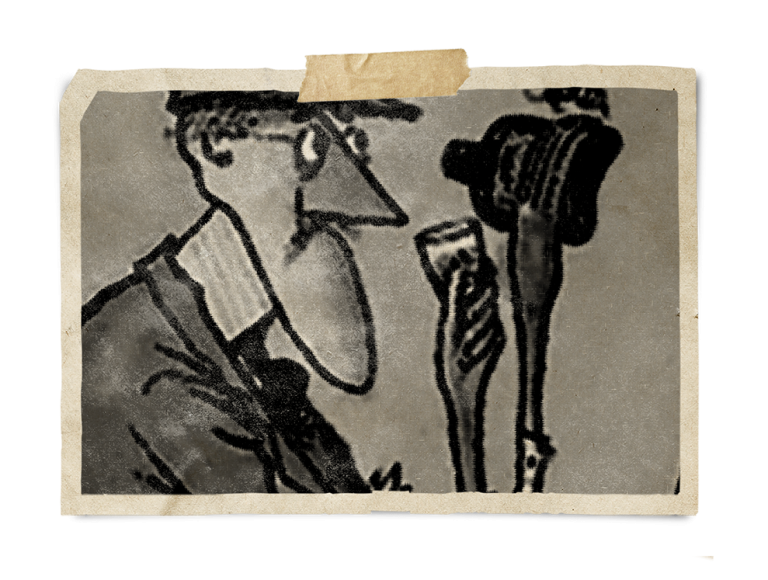 Lemon Hart was truly an endearing character, with a dynamic personality, adventuresome spirit and buoyant energy. Businessman, philanthropist, community leader and rum authority, Lemon Hart possessed an uncanny ability to generate excitement and rally support for all of his many undertakings – from the ambitious (sailing to the Caribbean to secure rum supplies) to the monumental (raising and commanding a militia of local men to ward off invaders during the Napoleonic Wars) to the everlasting (innovative blending of the finest rums from the Caribbean to create remarkably smooth, flavourful rums). Today, now over two centuries later, his legacy lives on in every bottle of Lemon Hart & Son Rums. Rum always, since 1804. At the age of 22, Lemon Hart took charge of the family business from his father, E.L. Hart, in 1790 and was well determined to expand abroad the company’s growing interests in the rum trade. Lemon Hart was also keenly aware of the old Lancashire proverb, “there’s nobbut three generations atween a clog and clog” (translation: “From shirtsleeves to shirtsleeves in three generations”, understood as being that the first generation from poverty starts the business and makes the necessary sacrifices to succeed, the next generation runs the business making no sacrifices at all, the third generation with no experience of work or sacrifice,simply consumes the family fortune and the fourth generation goes back to poverty.). Lemon Hart, being the third generation Hart running the business, would never let that happen. Between 1790 and 1795, the family business greatly thrived and prospered driven by Lemon Hart’s leadership and determination. He successfully expanded the company’s interests beyond the basic trading of rums to also include specialized blending and production of the finest rums from the Caribbean, resulting in remarkably smooth and flavourful rums. By the late 18th century, Lemon Hart masterfully crafted his own signature blend of rum using select Demerara rums originating from a distillery on the East Bank of the Demerara River in the lush tropical Caribbean country of Guyana. By 1655, rum (at the time referred to as ‘Old Kill Devil’) was recognized as an official Royal Navy ration which they sourced from random spirits merchants and traders at various ports, a method of purchase that endured for close to 150 years. Finally, in the late 18th century, a decision was made by the Admiralty of the British Royal Navy to appoint an official supplier of rum. 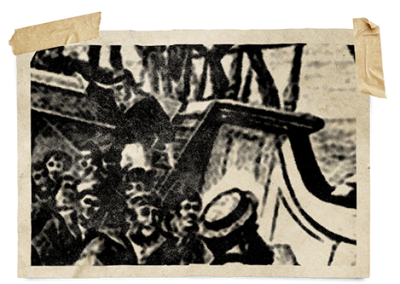 It was at that time the Admiralty, having tasted Lemon Hart’s signature blend of Demerara rums, appointed him as the first official purveyor of rum to the Royal Navy. Lemon Hart’s magnificently blended rum – smooth, flavourful and well balanced – was very, very popular with the crew and received high acclaim throughout the Royal Navy. Lemon Hart, now keeping the Navy afloat with his masterfully blended rum, was on course with a product that would carry his name over the centuries. Lemon Hart & Son rums, still to this day, are proudly distilled, Bourbon barrel aged and blended at a single estate in the Demerara region of Guyana, to ensure the highest quality, fullest flavoured rums. The stills, the location, the craft, skill and passion of the people who work at the distillery contribute distinctively to the single source character and flavour of our rums. When you buy single estate, you know quality as your source. Guyana’s Demerara region is renowned throughout the world for its rich and unparalleled 300-year history of sugarcane plantations and rum production. Similar to the distinctive production regions of Cognac and Champagne, the credentials of authentic Demerara rum include distillation and aging within this specific region of Guyana. At the distillery itself, the time honoured techniques, standards and methods of the age-old art of rum distillation, aging and blending are maintained, all working in harmony with the most up-to-date facilities and equipment in the industry. Use of an old wooden coffey still (the last operating still of its kind in the world today) and wooden pot still are key to the very distinctive, aromatic and flavourful marks that distinguish Lemon Hart & Son rums as rare and magnificent. Rum always, since 1804. 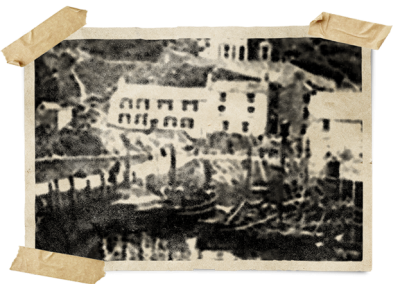 Following a period of refuge Lemon Hart took in 1803 in Blackpool, a coastal hamlet on England’s northwest coast, he returned home with a renewed sense of purpose and determination to share his passion for rum with the world. 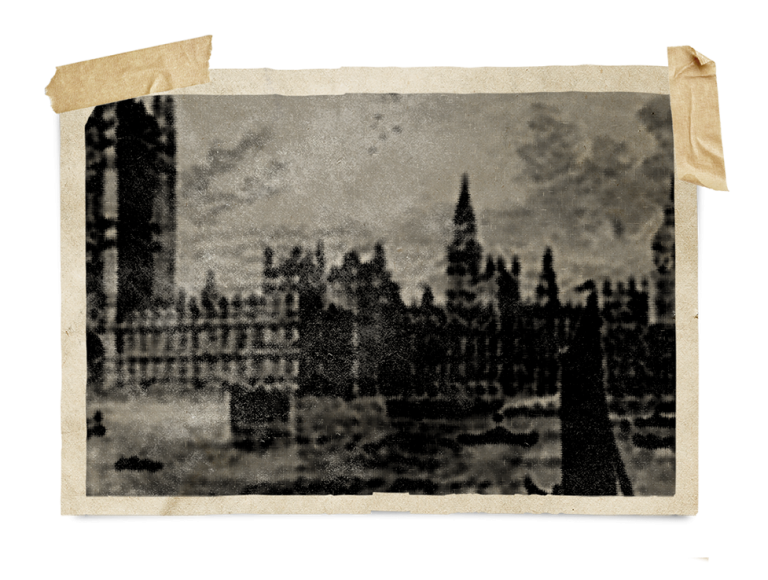 The early London years were a time of great change, hope and prosperity for Lemon Hart, both in business and personally. By 1804, with his rum stocks well secured at Lemon Hart Rum Company’s newly established facilities at the West India Dock (in the historic Port of London), his signature brand, Lemon Hart Rum was keeping the Royal Navy well afloat, a substantial supply contract Lemon Hart watchfully tended to from his offices in London and Penzance, where he still maintained residence. In the same year, Lemon Hart met his future wife, Mary Solomon, known to her friends as the White Rose because of her gentleness, innocence and beauty. They eventually married, moving permanently to London in 1811 and lived happily together for over 40 years until Lemon Hart’s death on 13 October 1845 at the age of 77 years. Both he and Mary are buried at the Brady Street Cemetery, Whitechapel, London, England. Hardship and deep sadness were to fall upon Lemon Hart’s life in 1803. It was the start of the Napoleonic Wars and the prevalent mood throughout England was one of fear and uncertainty over the possibility of attack by the French. Thinking back to the Battle of the Nile (1798), Lemon Hart well remembered that the first thing Admiral Nelson’s fleet attacked was Napoleon’s wine brig, and so the thought of a retaliatory attack by the French fleet, five years later, upon his rum stocks warehoused in Penzance, seemed to him a likely possibility. Clearly the sensible step for a major supplier to the Royal Navy would be to move his inventory to a safer location. And so, Lemon Hart made the difficult decision to remove his rum stocks from sleepy Penzance to the heavily fortified West India Dock, on the Thames at London. Lemon Hart adored his life in Penzance, living in a large home with a beautiful garden on Chapel Street along with his beloved wife, Letitia (now pregnant with their sixth child), four daughters and son, David, and his father. The business was well established and thriving and his personal life a charm when absolute tragedy struck his world. Letitia was at home alone one evening when her clothes caught fire from a candle in their bedroom on the second floor. Severely and extensively burnt, Letitia succumbed to her injuries within a week following the accident. A week following her death, Lemon Hart would then deal with the sudden passing of his father who died of a stroke which doctors attributed to the stress and shock of Letitia’s accident. At the age of 35, Lemon Hart was a single father, alone to pick up the pieces of his shattered life. Following Lemon Hart’s death in 1845, his only son, David took over the business. 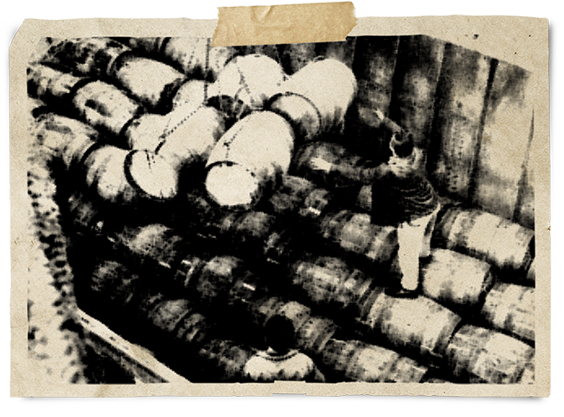 In 1892, Lemon Hart & Son joined rum importers Portal Dingwall & Norris to form a powerful London-based alliance which remained intact for half a century. Heavy bombing in World War II drove Alfred Lamb Ltd (creators of Lambs Rum) from their location in London, taking refuge in the offices of Lemon Hart & Son. In January 1948, United Rum Merchants (URM) was formed as a result of this union. In 1949, URM was sold to Booker Brothers, McConnell and Company, sugar planters from Demerara, Guyana. In 1984, Booker Brothers, McConnell and Company sold their rum business to Allied-Lyons. In June 1989, Allied-Lyons’ rum business, which included Lemon Hart and Lamb’s, was brought together with Tia Maria under one management structure to form Alfred Lamb International Limited, a division of Allied-Lyons. In 1994, Allied-Lyons merged with Pedro Domecq forming Allied Domecq which, in 2005, was acquired by their French-based rival Pernod Ricard. The irony is not lost that a mere two hundred years earlier, in 1804, Lemon Hart relocated his entire rum stocks from Penzance, Cornwall to the heavily fortified West India Dock in London, in fear of attack and invasion by the French. 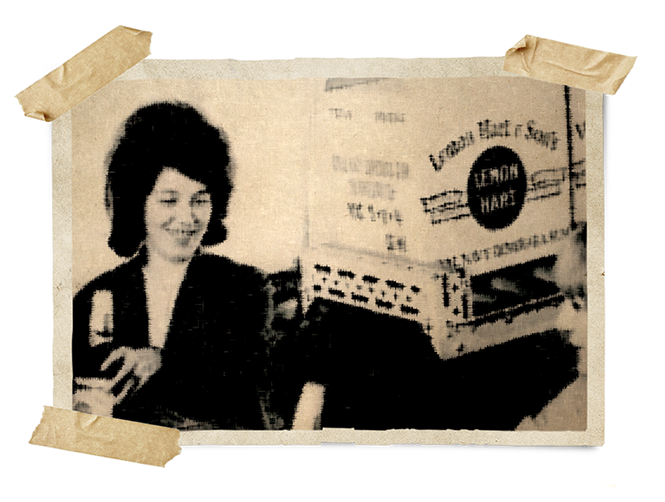 In 2010, the Canadian-based company Mosaiq Inc. acquired the Lemon Hart brand from Pernod Ricard and implemented “A Return to Heritage” initiative for the brand starting with the reestablishment of the Lemon Hart & Son company. Today, Lemon Hart & Son rums are the most historically authentic rums available in the market, savoured by discerning rum drinkers around the world. Anyone drinking Lemon Hart & Son rums today, drinks to a name with a lineage of over two centuries of established credential and authenticity coupled with a remarkable history of close to three centuries in the world of rums. Rum Always.